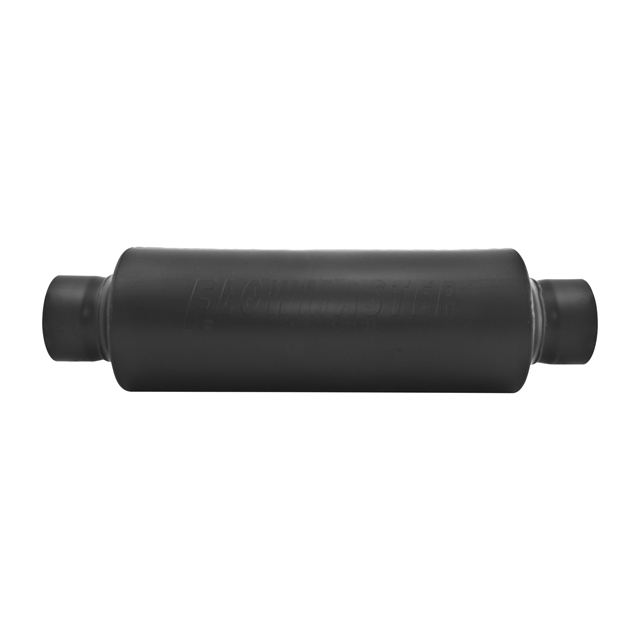 Flowmaster high-performance mufflers was established in 1982 and was known for developing ‘quiet’ racing mufflers without reducing performance. Flowmaster offers a wide and diversified range of mufflers, headers, and cold air intakes for both import and domestic cars, trucks, and sport utility vehicles. The easiest way to give your car or truck more power and torque is to simply install a cold air intake. The factory air filter and airbox offers restricted air flow. The Flowmaster Delta Force cold air intake system offers better flow of cold air to the intake manifolds to unleash more horsepower and torque. The system is equipped with a high-flow filter that is washable and reusable to provide thousands of miles of exhilarating performance. As an added bonus, the Flowmaster Delta Force cold air intake does not require a CPU retune and is legal in all 50 US states. If you are looking to unleash even more power and more sound, look no further than Flowmaster’s impressive array of axle-back and cat-back exhaust systems. The Flowmaster Force II offers better exhaust flow than the stock system and is great for street applications. The Flowmaster dBX Series is perfect for sport compact import and European vehicles. The Flowmaster American Thunder offers a more aggressive tone while the Flowmaster Outlaw is a race-oriented exhaust system that delivers the loudest sound. Flowmaster stainless steel mufflers, exhaust systems, pipes, and exhaust accessories are backed by a limited lifetime warranty. Sam’s Motorsports is proud to offer Flowmaster exhausts, tailpipes, manifold downpipes, X-pipes, turbo downpipes, catalytic converters, and exhaust tips at unbelievably low prices. 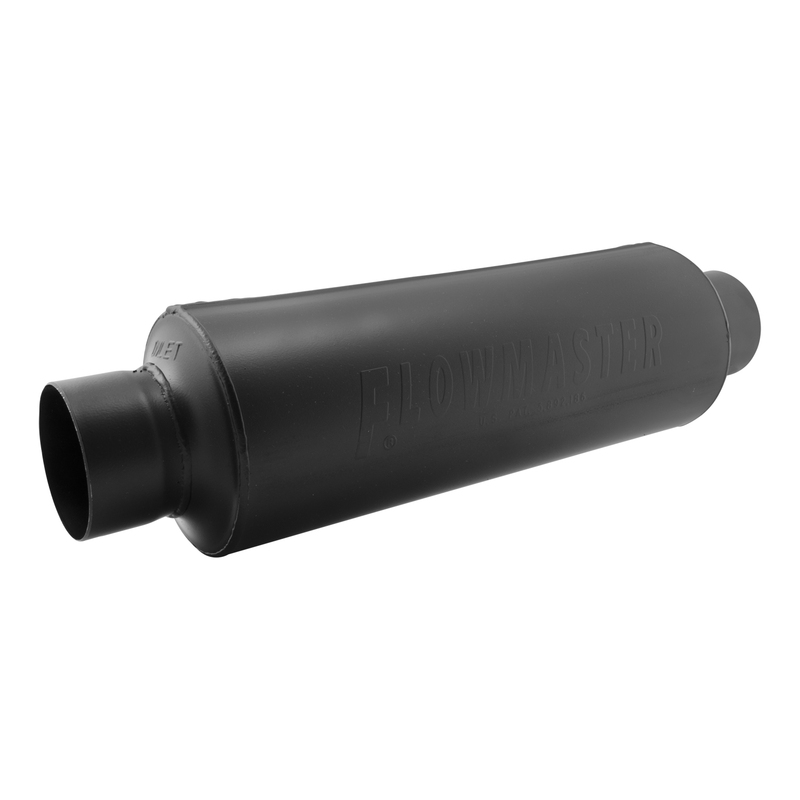 While this Flowmaster Pro Series Mufflers might fit your vehicle, unfortunately we can't guarantee fitment. Please read description and specifications to decide if this part is right for your vehicle. PRO SERIES OUTLAW RACE MUFFLER 3.5"/3.0"
PRO SERIES OUTLAW RACE MUFFLER 3.0"/3.0"